Lately I've been asked by everyone from the media to auto manufacturer reps about why I started this site, and what I like so much about small cars. Growing up, my family always owned at least one smaller vehicle: A Dodge Champ, a Dodge Omni, a Dodge Colt, a Mitsubishi Expo LRV—we always owned a smaller vehicle and a bigger vehicle. However, I remember my parents touting the fact the small cars were agile, easy to park, cheap to fuel, and "zippy." My first car was the aforementioned Mitsubishi Expo LRV (which had a five-speed manual); a hand-me-down from my mom. And while it wasn't the cool car to have in school, it was wheels, and that was great. Truth be told, I never really wanted anything "big." Friends had old Cadillacs, lifted Ford trucks, and big-old Dodge vans. While they were cool in their own right, I much preferred the agility of my small car. I also much preferred filling the gas tank on it, too. I'd be lying if I said there wasn't a bit if me that simply wanted to go against the grain, too. I mean, everyone loves the underdog, right? When I was in high school in the early-to-mid 1990s, I lusted after VW Golfs and Siroccos. I dreamed of beating out friends' Firebirds and Mustangs in my compact car. Alas, I was driving my mom's mini-minivan. I remember seeing the first tricked-out Honda Civics and Nissan Sentra SE-Rs and thinking, yeah, that's my style. David vs. Goliath. 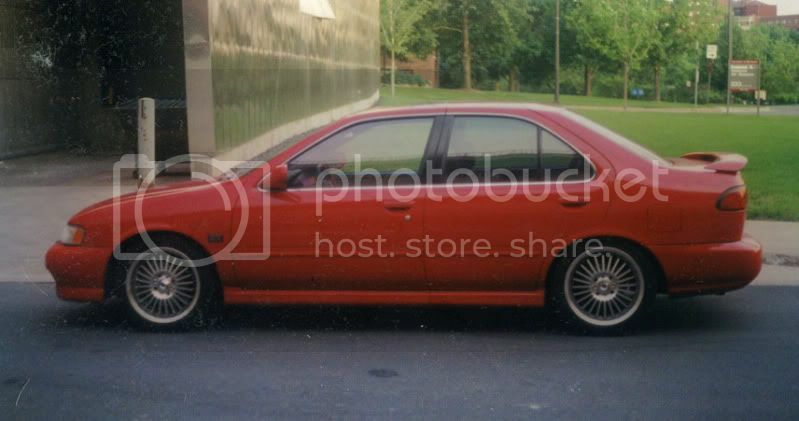 Photo of my '99 Nissan Sentra SE-Limited circa 2000 in Minneapolis. The sport-compact movement was on the up-and-up when I was in college in the late 1990s, and I got to be a part of it. I ended up with an SR20DE-powered 1999 Nissan Sentra SE-Limited. No, it wasn't the fastest thing at the drag strip (a 15.4-second quarter mile was the best I could eek out of it). But it kept up with many of my friends' Hondas, Acuras, and VWs. The height of this underdog mentality for me was making it to the semifinal rounds at the local drag strip. It was bracket-style racing, but I was the only import and the only four-door vehicle in the game. I ended up beating a nine-second pro-street vehicle, two 11-second Mustangs, only to break out of my bracket and lose to another much faster vehicle. I even got a trophy that day. 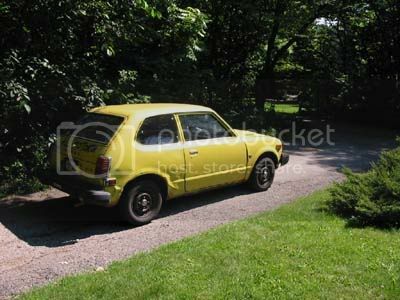 I owned a few Civics in college; a stock 2000 DX hatchback, and a 1979 Honda Civic 1200 that my roommate and bought for $350 (we split the cost). That little car was so great in the snow that it was ridiculous. Another underdog moment was going out in a nasty snowstorm in NW Wisconsin in that old Civic. Its 145/80/12 M+S tires would cut through the snow like a knife. We were easily able to keep up with the 4x4s in the snow, despite our low ground clearance. So cool. I had a few cars after this; a Ford Focus ZX3 and a fun, but extremely impractical, Honda Prelude SH. Around the early 2000s is when rumors started flying around that Toyota was going to bring over the bB from Japan and sell it as a second label in the U.S. This was what ended up being Scion's xB, of course. My first encounter with an xB in the flesh was at the Chicago Auto Show in 2004. It was a glorious contradiction to the trend of oversized SUVs that were used only to go to the mall and haul kids to soccer practice. 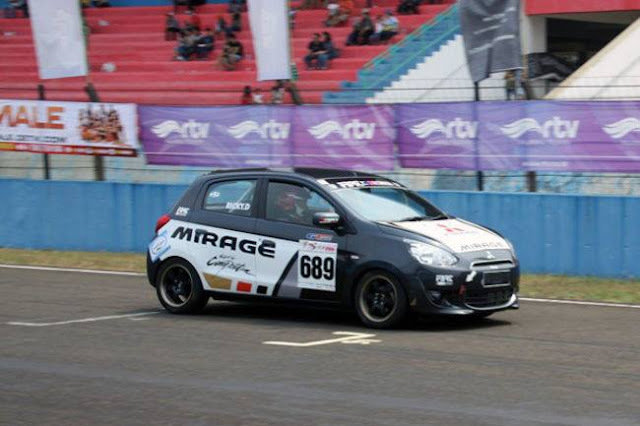 Its shape slapped aerodynamics in the face, then stole its lunch money. It was tiny outside and huge inside. It was different; it was an underdog. I had to have one. 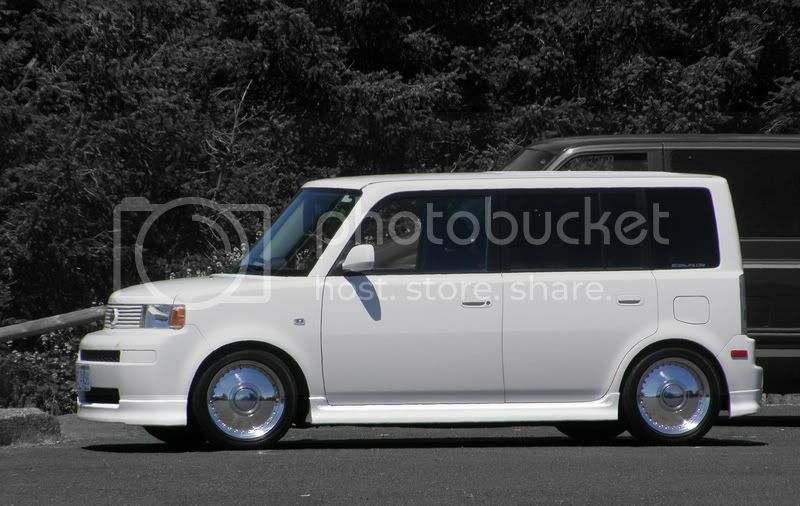 My 2005 Scion xB with 16x7 Rays Engineering Texan Shotgun wheels. Sure enough, Mercedes and I bought a five-speed 2005 xB in Polar White and fell in love with it. Co-workers, knowing I had just sold my Prelude would tell me I'm nuts. They'd say I'd regret getting rid of the Prelude for a boxy, slow economy car. They were, of course, wrong. After having some repeated mechanical issues with the xB, I ended up trading it in on my 2007 Toyota Yaris, which I still have. It's been a great car in just about every way. I threw my first set of orange wheels on it in early 2008, and got people asking, "Why a Yaris?" ever since. It was shortly after acquiring the Yaris that I was having a beer with a friend who knew I had a passion for small cars. He asked if I'd ever thought about starting a blog site. While I was passionate about cars, he was passionate about social media, which was not nearly as ingrained in society as it is now. "Do people really read blogs?" I asked. (Remember, this was 2007.) He informed me that yes, they do, and at some point if you continue to work the site, update it regularly, and get involved, I might become a go-to person for small car stuff. Well, low and behold, I'd say that'd happened, or is at least happening. But I didn't start the site just for something to do. 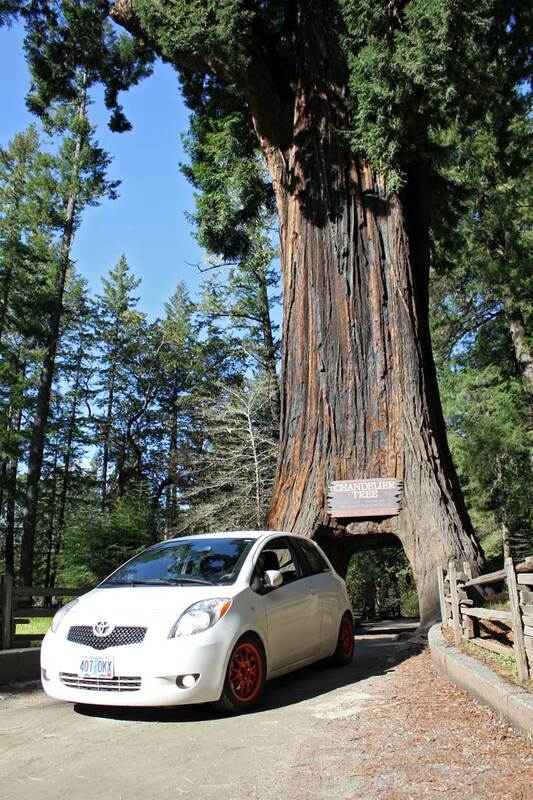 I started it with the intent to show people that there are those of us who actually prefer to drive a small car. It's not that we can't afford something larger, but rather, we like those core small car virtues: agility, easy to park, cheaper to fuel, and zippy. Maybe a bit of underdog status to go with that, too? The U.S. now has more small car offerings than its ever had, an the a-, b-, and c-segment vehicles are the fastest growing sect of the U.S. auto market—great news for us small car fans. Additionally, these cars are no the "penalty boxes" they used to be in the '80s. Many offer features found on much larger and more expensive vehicles, too; one reason I believe they're attracting more people. I've told many people, I love anything with four wheels and an engine, and that's true. I just prefer to drive small, and since starting this blog, I'm finding out there are a lot of other people who feel that way, too. Being a lot older, I've been through a lot more cars (my current Scion xD is my 30th car), and the majority of them have been compact or subcompact size, simply because that is what I wanted. Even when I was camping and hiking and using massive 4x4s to get get out in the wild, my other cars were mostly compacts, subcompacts, and even one Kei car (Honda Z600). I have the same car (it's even white). I call it Moochi, after the Japanese gummy candy. Most of my friends drive big fancy cars, yet they like me to drive when we go out because they know I will be able to fit into ANY available parking space, no matter how tiny. Once, when filling up, a friend (who drives a BMW SUV) could not believe that it costs $25to fill up my car, "THAT'S WHAT IT COSTS?!" he asked, outraged and jealous. As if fuel-economy were some sort of best-kept secret. I still lust after vintage volkswagens and may upgrade someday to a convertable Mini, but I definitely share your respect for the smaller-is-better philosophy. Still wish I had my '79 Civic 1200 as well. Small and perfect. 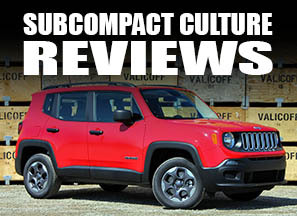 After reading this blog I have finally figure out what I am apart of, a Subcompact Culture. I have always loved subcompact cars. I have had 2 so far in my life a 2008 Chevy Aveo5 that was tricked out with 17" Akita Rims and my current car a Red 2012 Toyota Yaris Hatchback SE. I love my Yaris and wouldn't trade it for anything. Thanks for this great subculture of car ownership. I feel like I am apart of something bigger now.